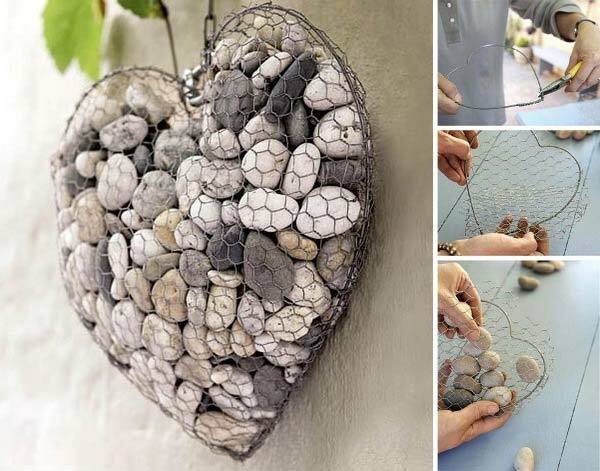 The ideas here have given the fullest tutorial or most details, so can completely do it yourself. 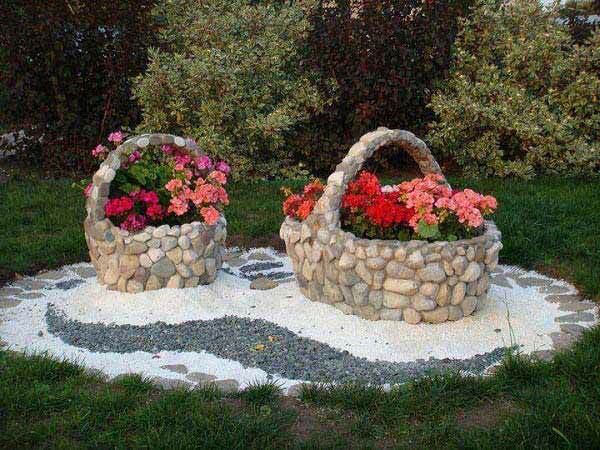 Don’t be late, take action now! 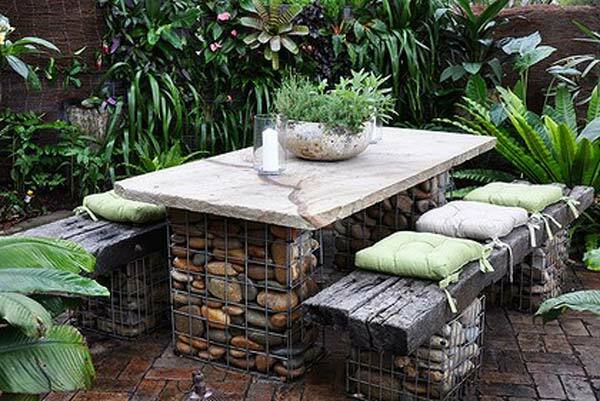 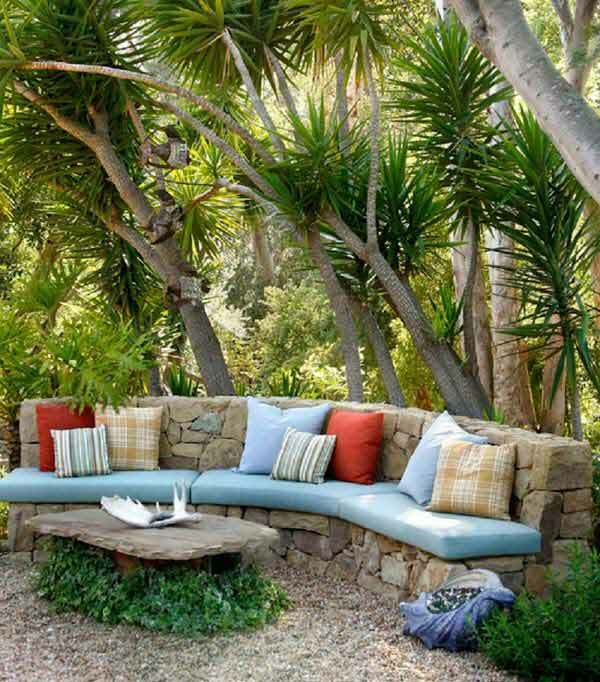 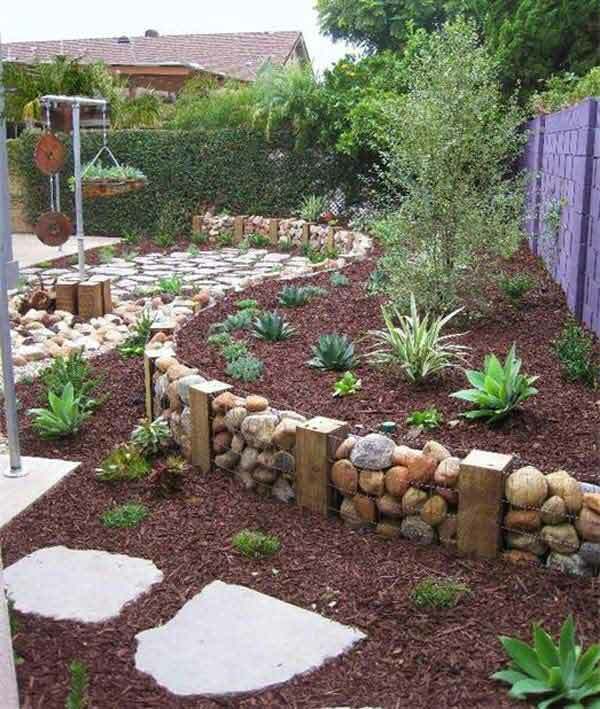 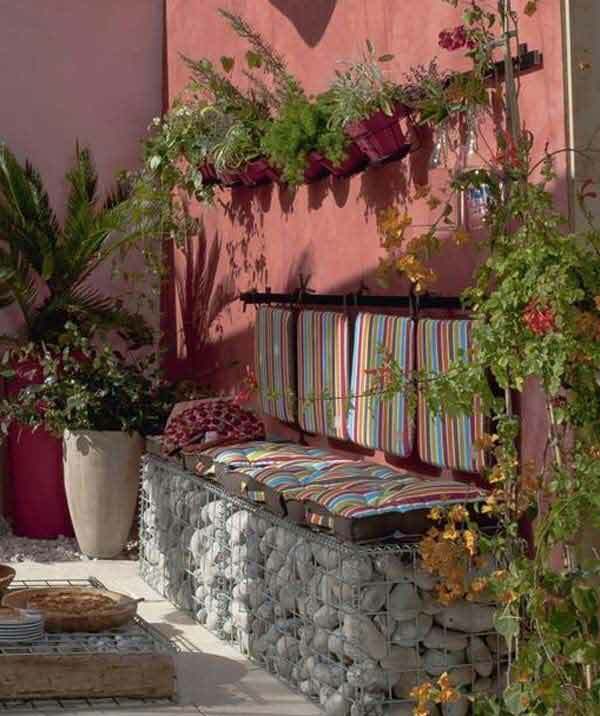 2.A gabion wall creates a dramatic feature in a garden. 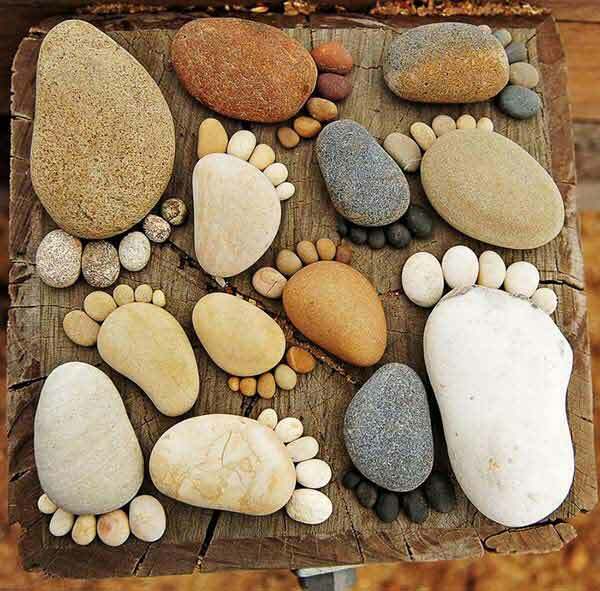 14.Rock Foot Prints EASY to make. 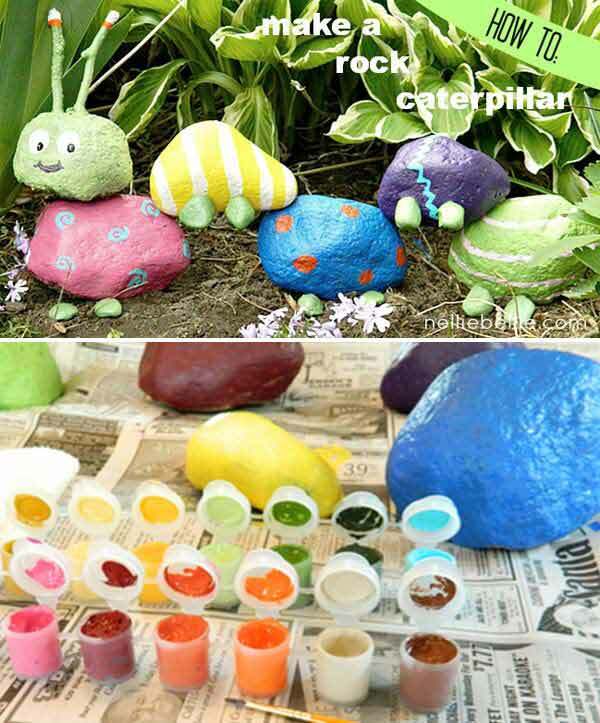 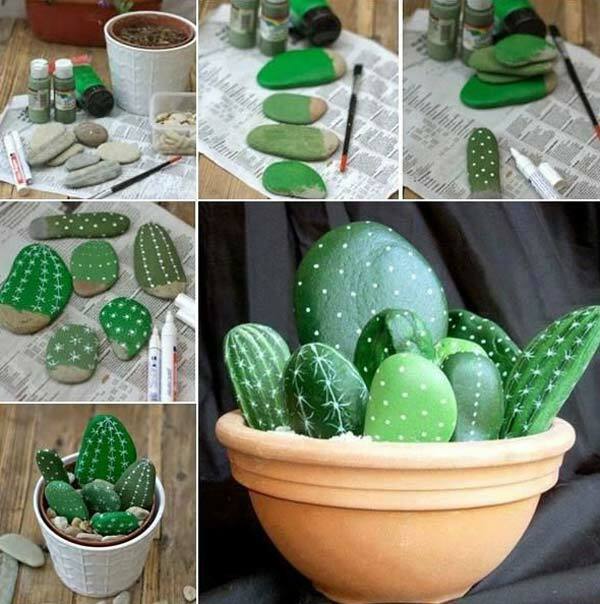 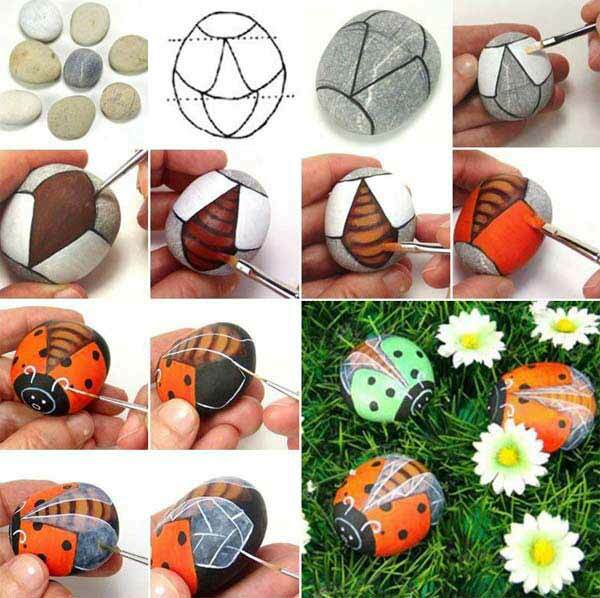 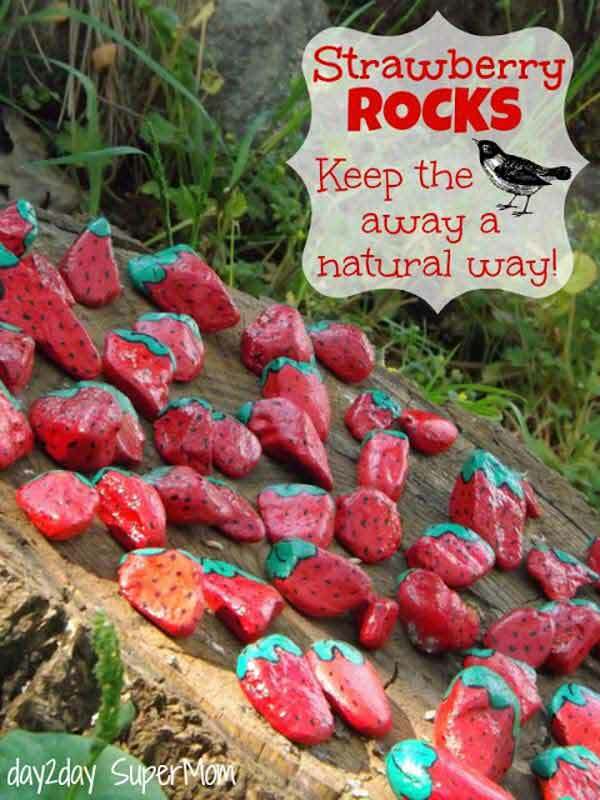 15.Paint small rocks with glow in the dark paint. 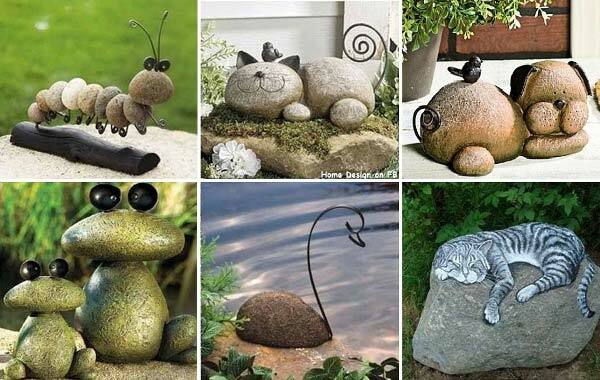 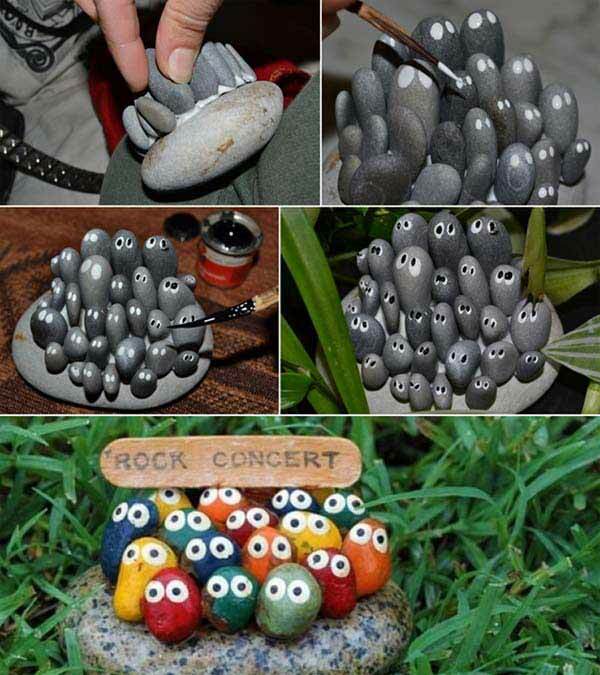 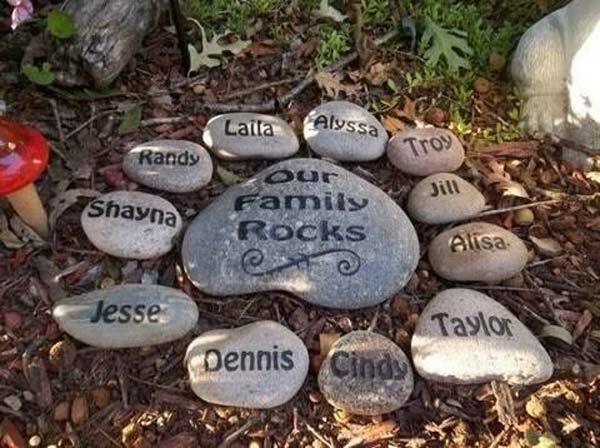 19.”Our Family Rocks” Seriously cute idea for the garden. 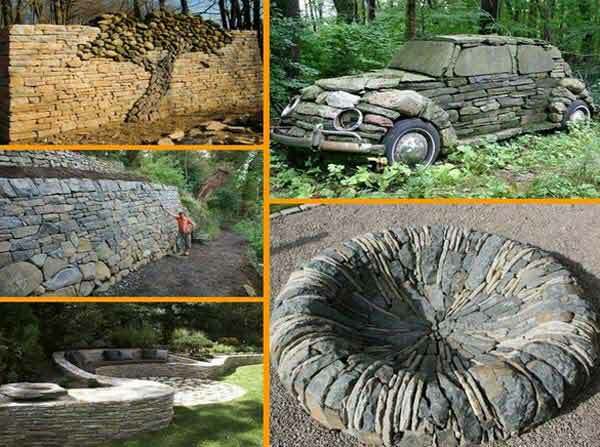 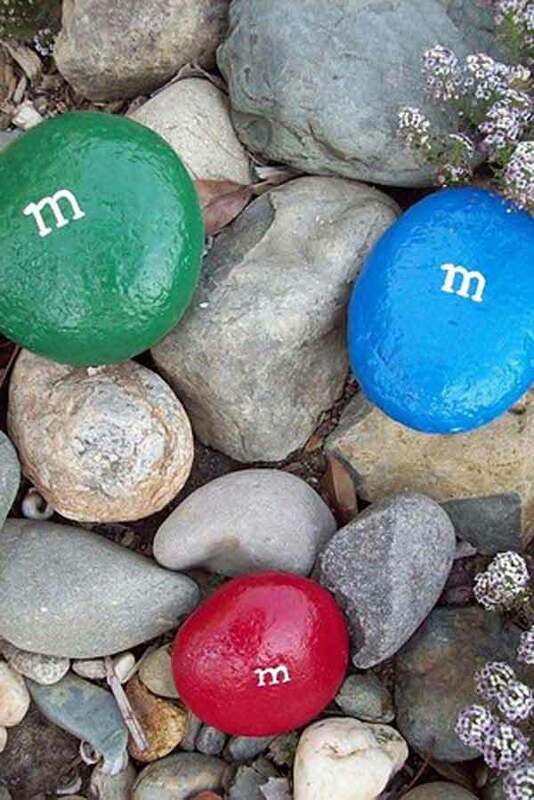 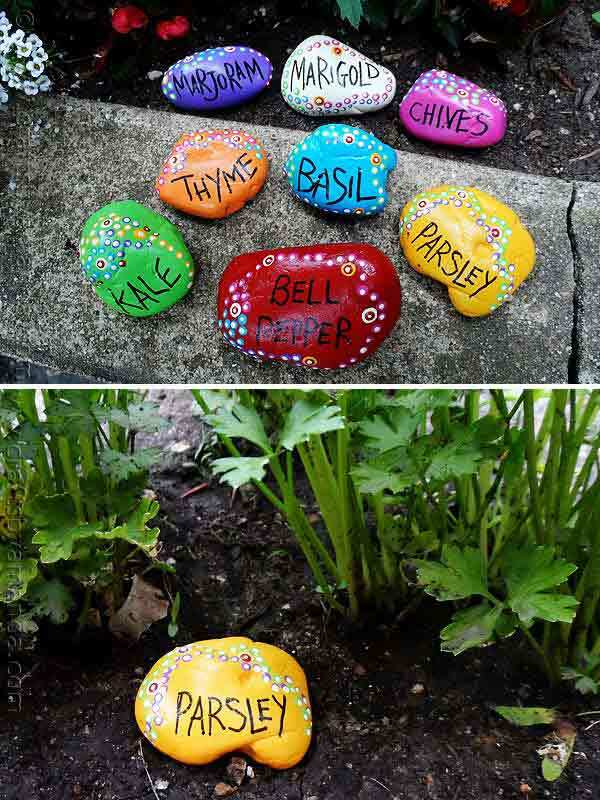 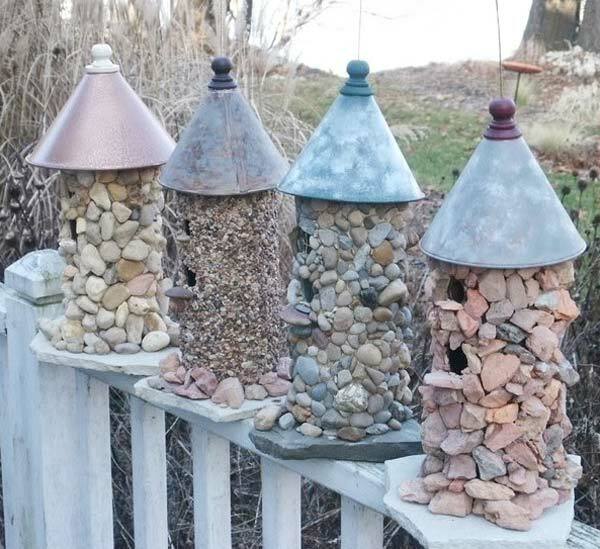 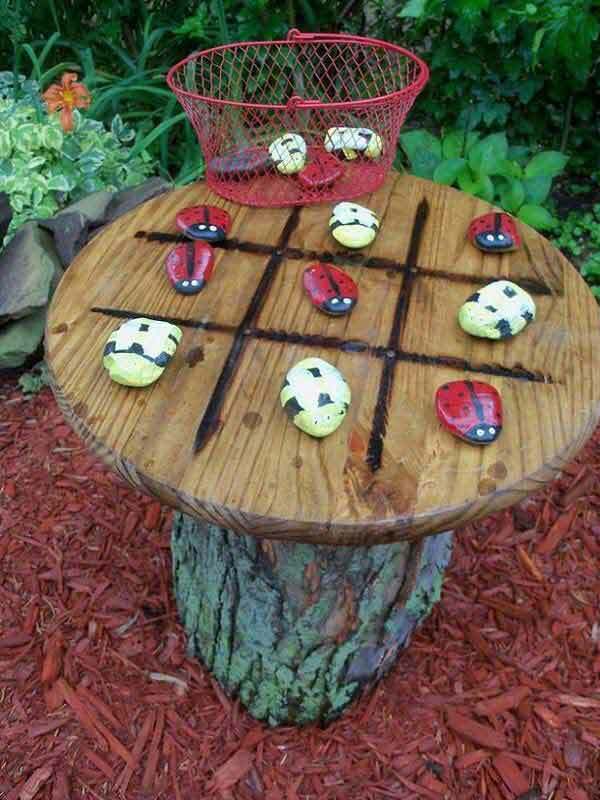 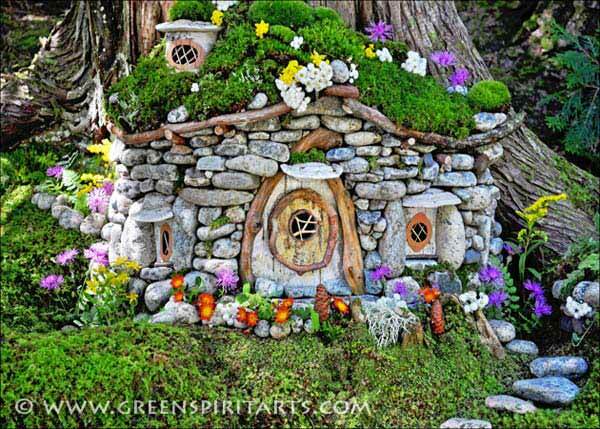 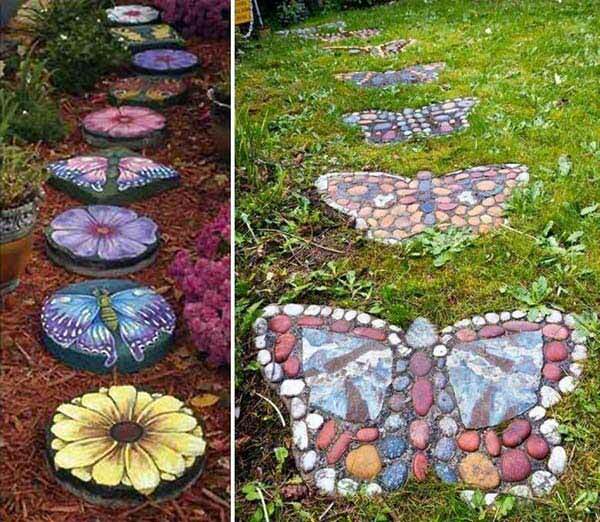 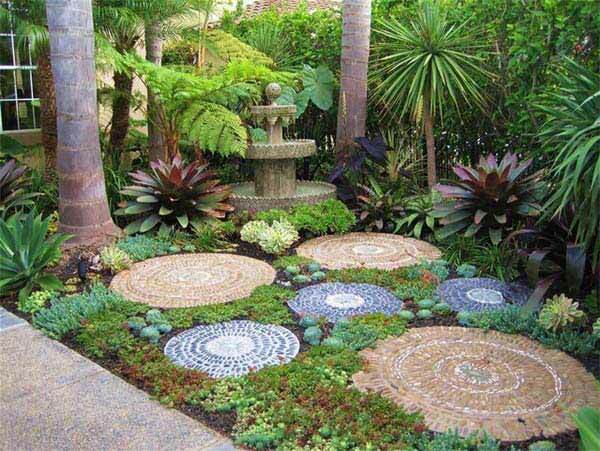 23.Paint the stones in your garden. 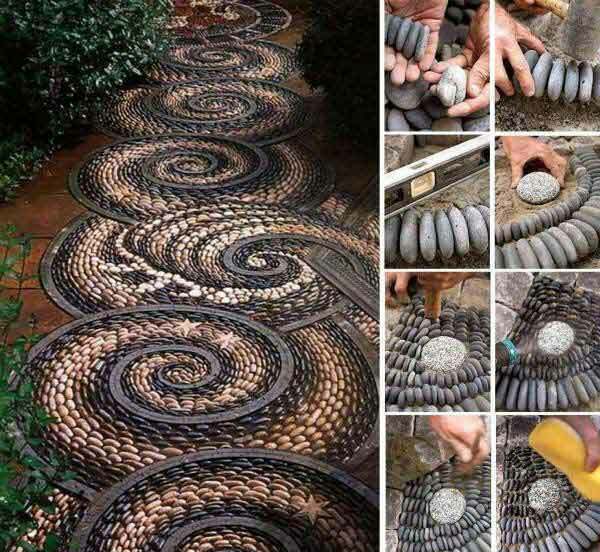 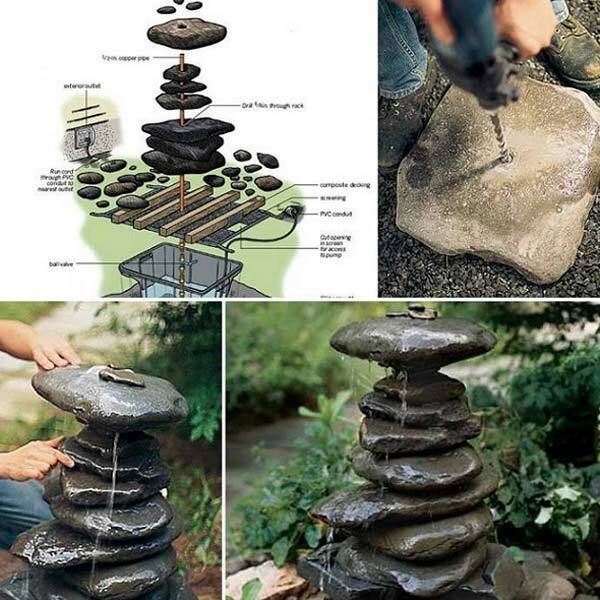 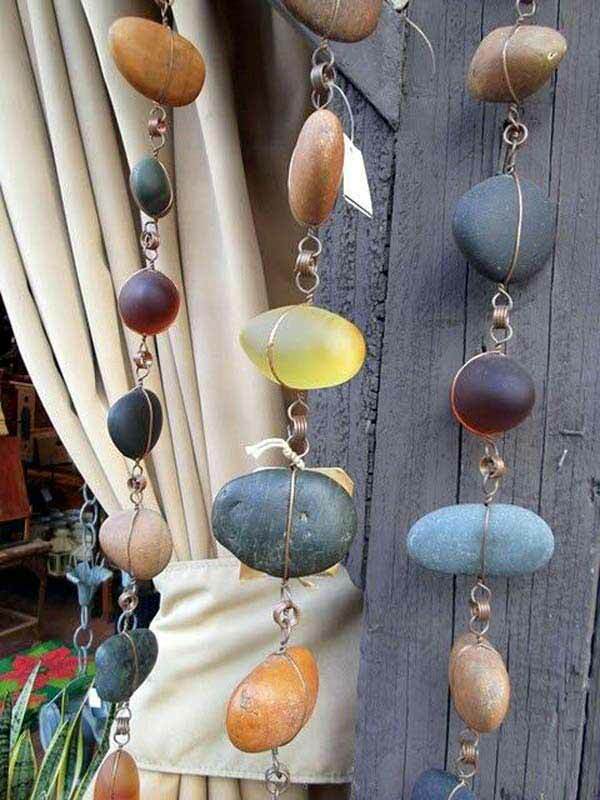 24.DIY rain chains from river stones.